Not every divorce has to be messy. By hiring a Texas board-certified attorney, you can safeguard yourself and your family. 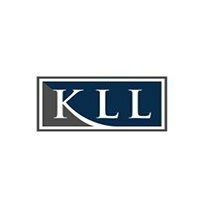 Recognized by Super Lawyers, Katie L. Lewis, P.C. Family Law offers a convenient Dallas location near Interstate 75 and the courthouse. Every family is different, and every divorce has its own unique circumstances — our law firm understands. We listen to each client who comes through our door to guide them personally through every step of the process. Though it may be stressful, know that by the end of the process you will have a fresh start. As a trusted expert source of counsel, our firm can answer all of your questions. Advising clients regarding Texas family law is a large part of our service. We can explain the legal rules regarding fathers’ and mothers’ rights, third-party and grandparent rights, domestic partnerships and gay couples, planning for property division, and countless other queries. Trust your family law concerns to a lawyer who understands what you’re going through. Even if you are only contemplating divorce, Katie L. Lewis, P.C. Family Law can help you plan for this possibility and protect you and your family in the long run.